GARY (STUD - Father), is "TWICE WORLD CHAMPION" fully titled SchH3/IPO3/Kkl1/A1/A1,. Large, full-bodied, very strong head, strong body, masculine structure, very good type and expression, harmonious, dry and firm, correct front, pronounced withers, straight back, correct positioned croup, well angulated in the forehand, very well and correctly angulated in the hindquarters, straight powerful free movement. Excellent stud-like head, the mask is pronounced with superior and desired "black and red" pigment! Temperament, nerves, gun sureness, drives, self-confidence. 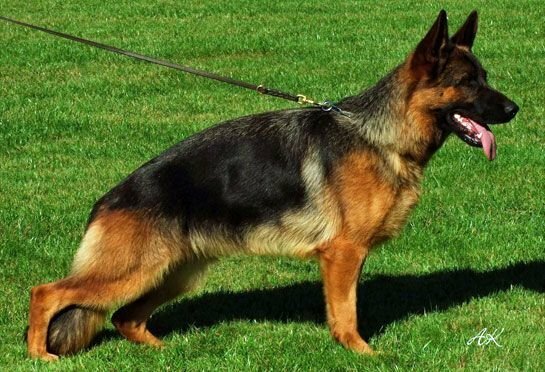 Confident, self-assured dog, "Clear in the head" with stable nerves and safe nature stud! LEE (DAM - Mother), is ranked 31ST ranked in the world (JKLH/2015), titles IPO1/KKLI1A3/A1/SG/V. The daughter of TWICE WORLD CHAMPION VA1/SG1 Leo von der Zenteiche. Her grandfather is THREE TIMES WORLD CHAMPION SG1/VA1/VA1 Vegas du Haut Mansard, also, the granddaughter of THREE TIMES WORLD CHAMPION SG1/VA/ Zamp vom Thermodos. 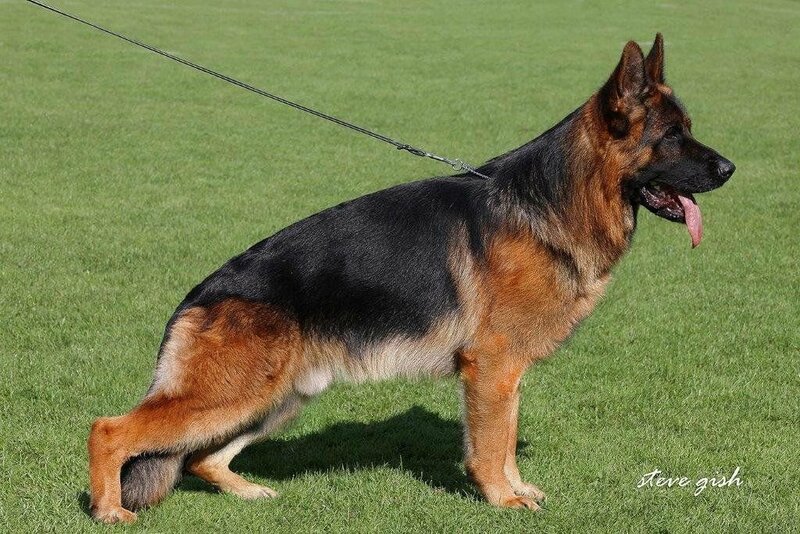 LEE is titled in schutzhund SchH1/IPO1/Kkl1, fair hips, excellent elbows. Anatomically correct, very healthy pedigree,. She's absolutely clear in the head, ready to play and please attitude, excellent natural protection ability.